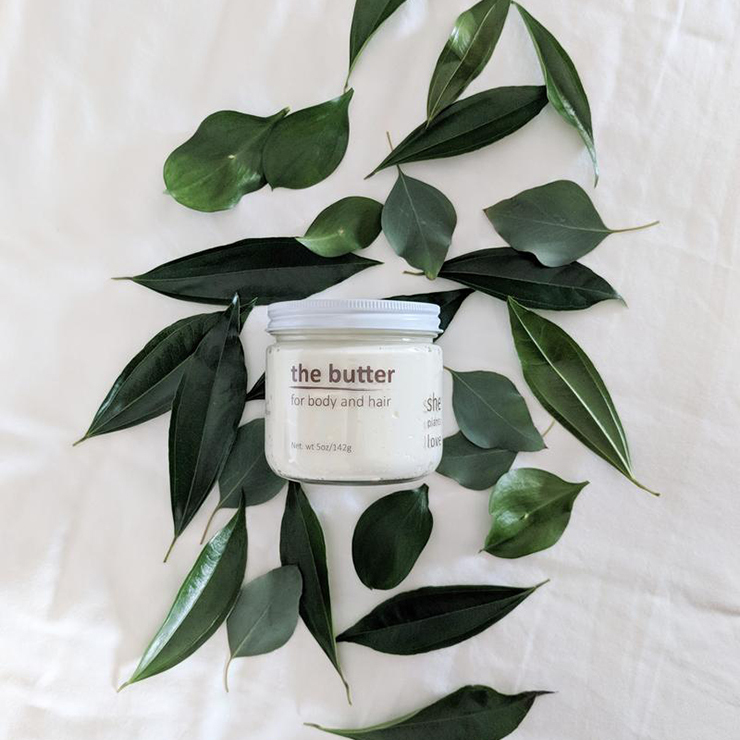 She Plants Love The Butter is crafted with intention and love, featuring seven certified organic ingredients that melt with a warm touch and the most delicate aroma of lavender. 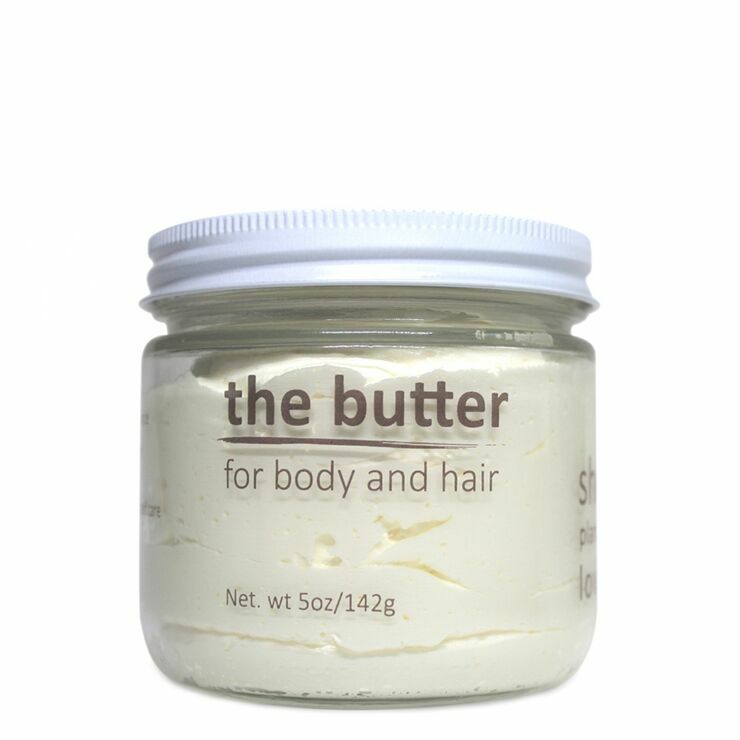 This unisex hair and body butter is good on all skin and hair types, especially really dry skin. 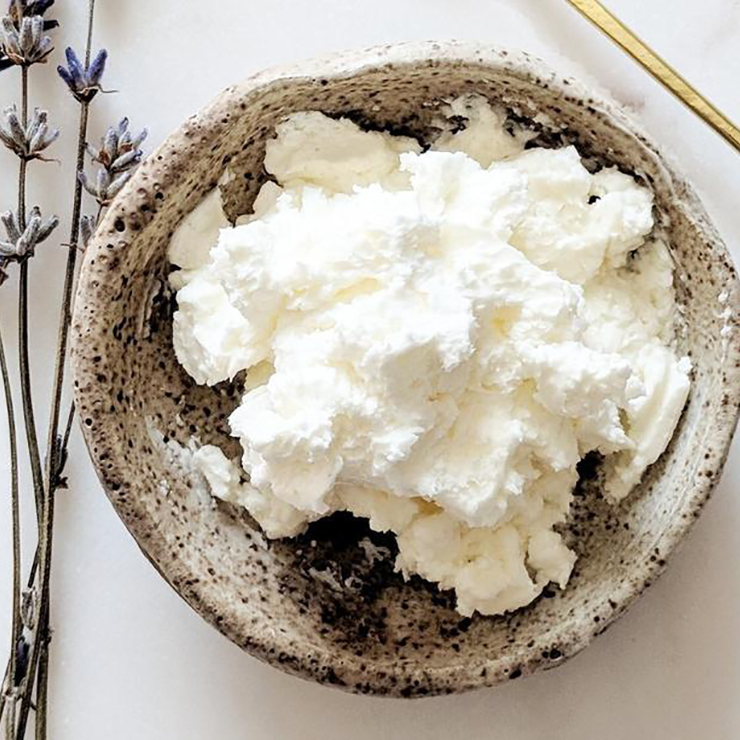 This melt-on-contact Butter is so easy to apply, you'll want to make this butter a staple in your self-care practice. 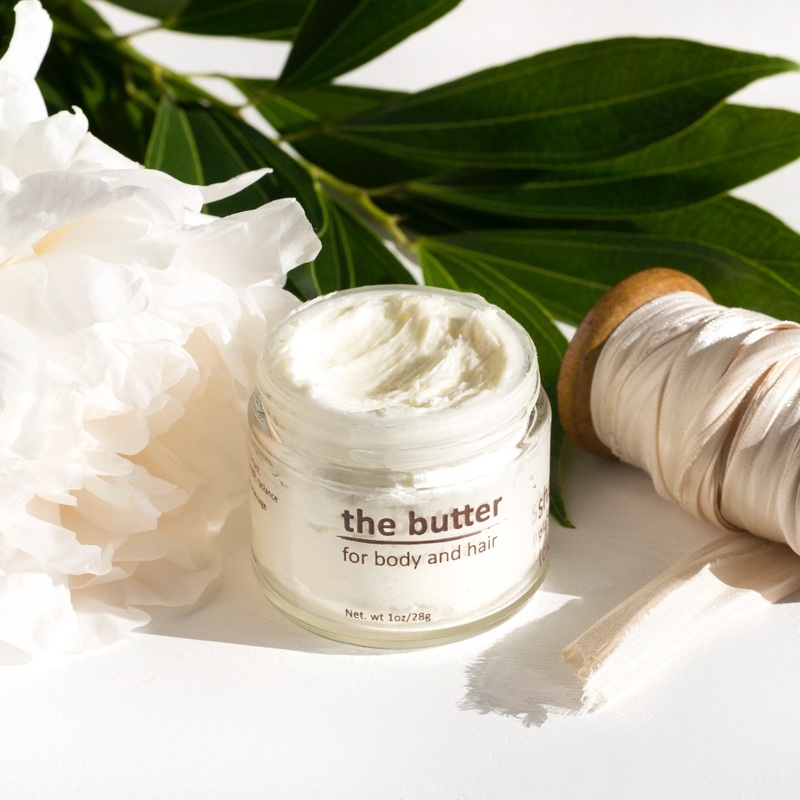 Use generously on body for intense moisture and offer dry skin a sense of healing and softness. Swipe a small amount through hair (or for men on facial hair) to soften and/or smooth the appearance of frizz and add moisture to strands. May also be used as a makeup remover and scalp conditioner. 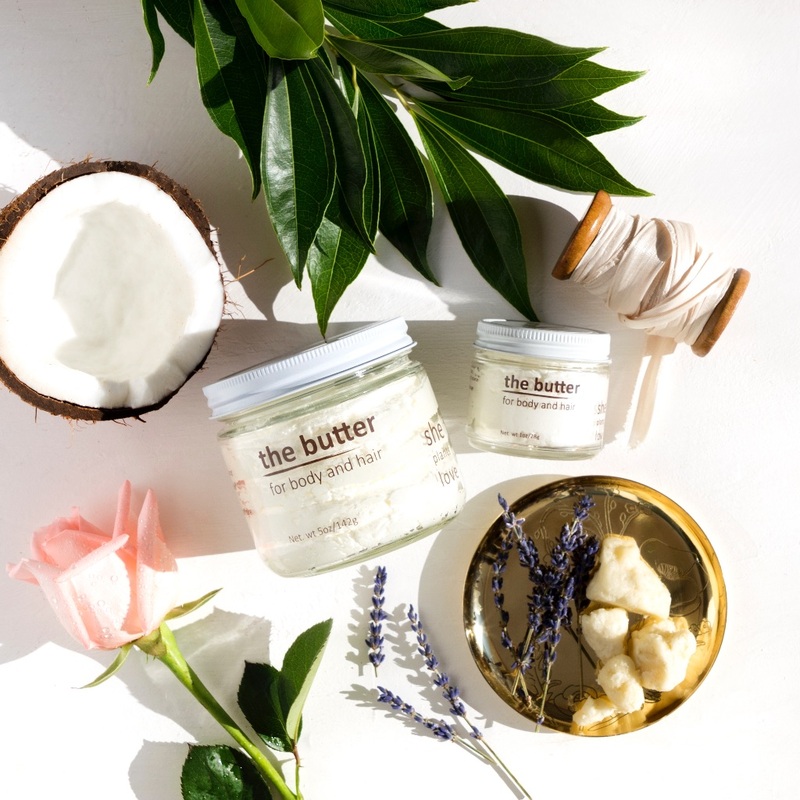 Butyrospermum Parkii (shea butter), Cocos Nucifera (Coconut) Oil, Simmondsia Chinensis (Jojoba) Seed Oil, Mangifera Indica (Mango) Seed Butter, Rosa Canina (Rosehip) Fruit Oil, Persea Gratissima (Avocado) Fruit Oil, Lavandula Angustifolia (Lavender) Essential Oil. I received this as gift with purchase. 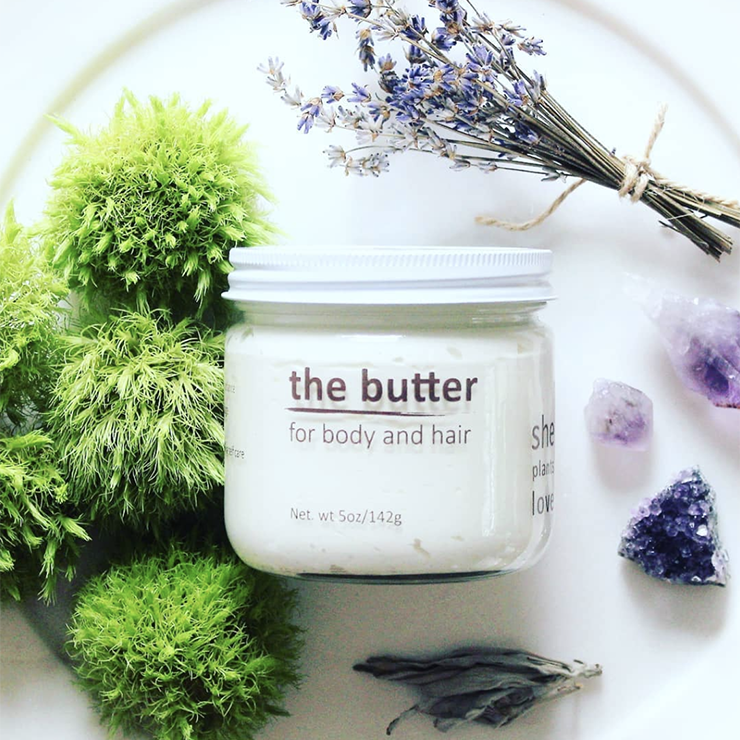 The first thing I noticed is the calming lavender scent and the soufflé like texture. The lavender is very soft, but present and the butter is much denser than what I expect since it looks so whipped and fluffy. I was happy to see it wasn’t as airy as expected, because you get a lot of product in the small jar. 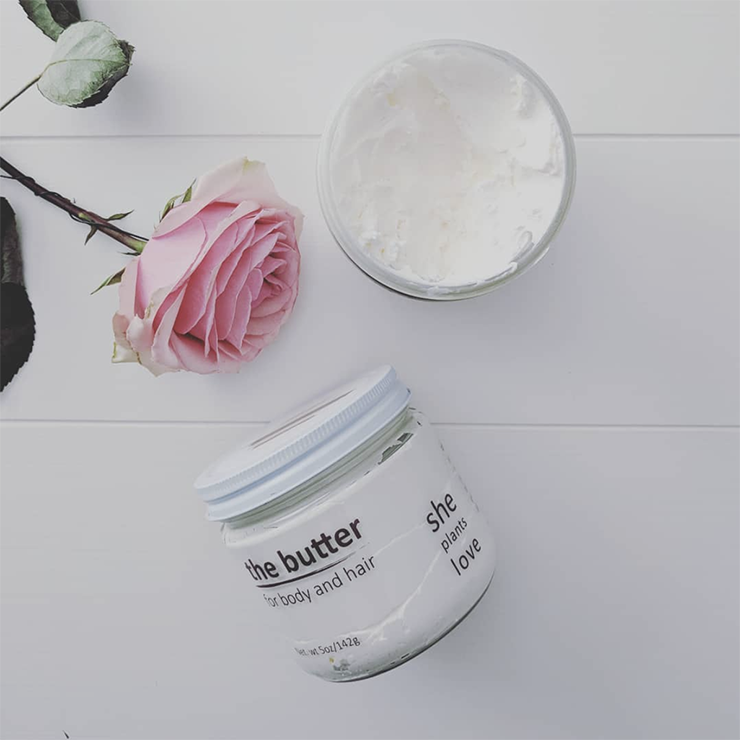 All you need is a tiny amount on the tips of your fingers, rub it between your palms to warm up the oil and it slides over shower fresh skin like silk. This jar is going to last a long time and I will be repurchasing once I do run out!